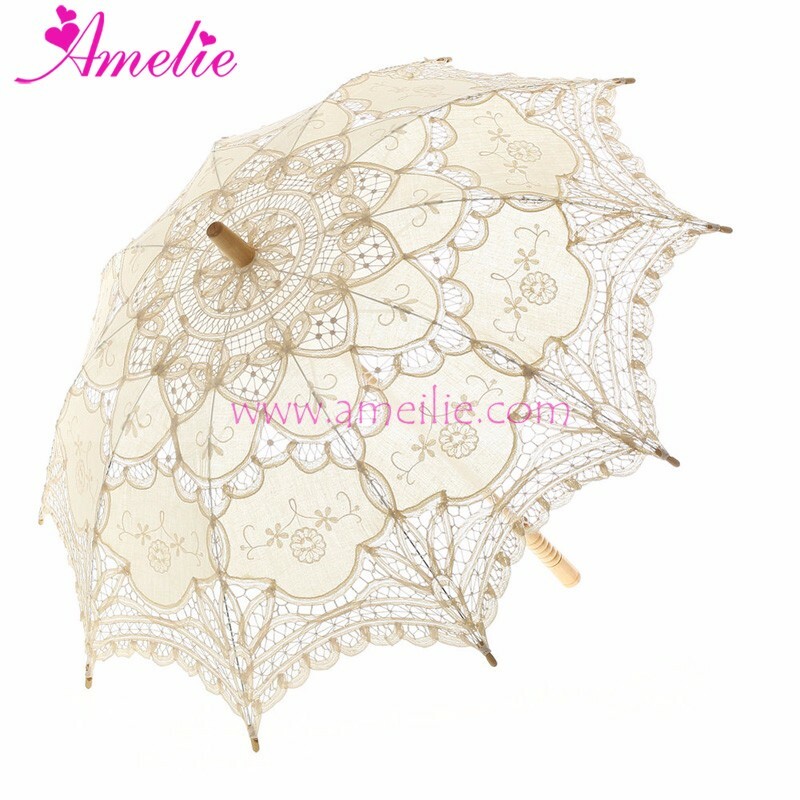 Quality control Every pc of wedding gift model will be checked by our QC dept 3 times. 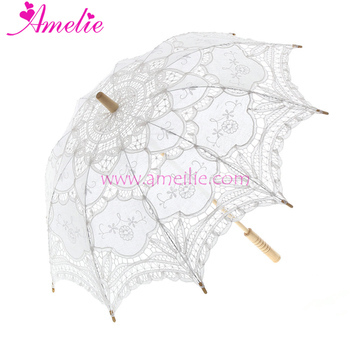 Durable bamboo hook handle or Straight handle with a metal frame. 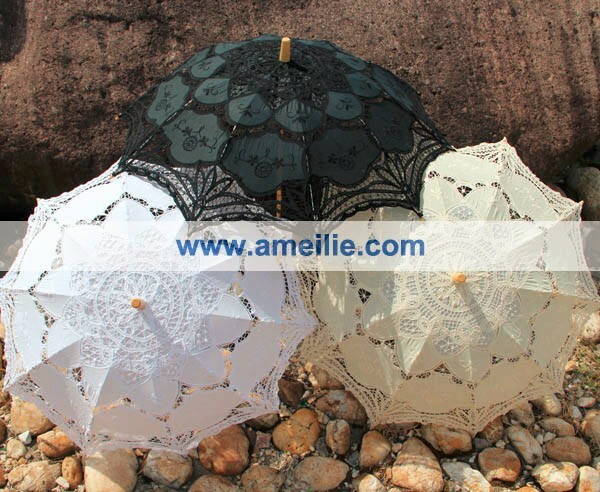 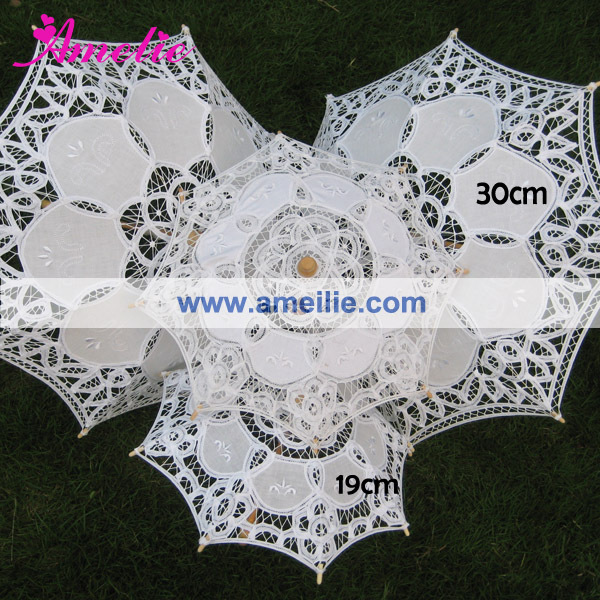 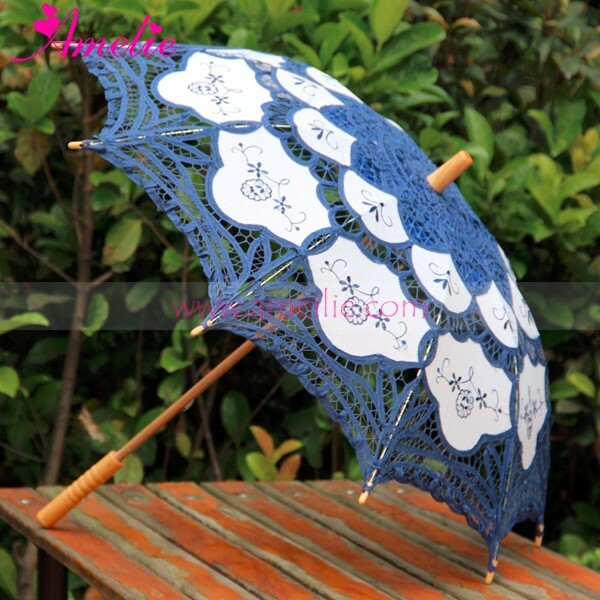 This is a classic and charming parasol design. It features 8 or 10 panels for durability and is crafted from a very nice 100% battenburg lace with intricate embroidery throughout. 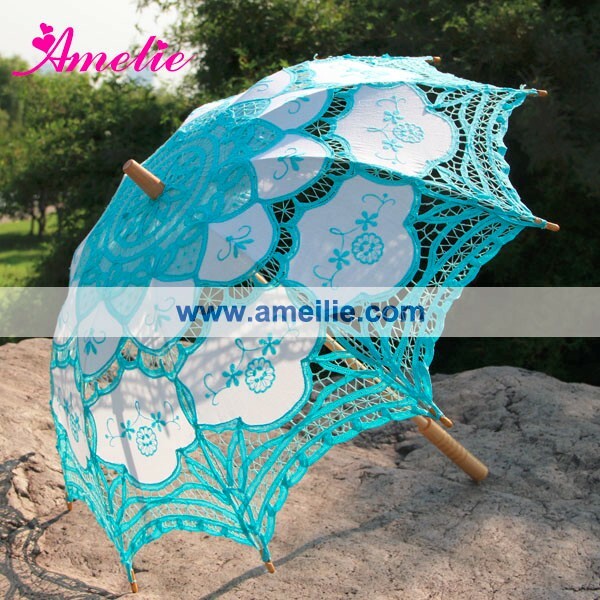 Welcome to work with Amelie,we pick you from airport,do order hotels...We provide all-around service with our best.